The Edwards Chiropractic LLC team feels fortunate to serve the needs of our community. We’ve created a relaxing and warm environment that will make you feel at ease from the moment you walk through our doors. Let’s get started on improving your health! When you walk in, our office manager Sheryl is ready to welcome you. You can complete the necessary paperwork before you arrive to save time. These forms can be downloaded from our website, allowing you to take your time at home to fill them out. Sheryl will make a copy of your insurance card and verify your eligibility. Then you’ll head to the new patient room to watch a video on what you can expect during this visit. Dr. Edwards will introduce himself and go over your health history, answering any questions you may have so far. If we need to take X-rays, we’ll go to the X-ray room and get them done. From there, Dr. Edwards will process your X-rays while Sheryl or one of our interns gives you a therapy such as ultrasound, electric muscle stimulation or cold laser, depending on your needs. You will always feel welcome at in our office! After your therapy, Dr. Edwards will take you back to an adjusting room for your first adjustment. You can schedule a follow-up visit with Sheryl at the front desk. 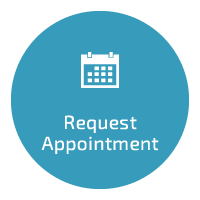 This appointment takes about 45 minutes if you bring in your paperwork completed. On your next appointment, you’ll go to the new patient room to watch a video on what you can expect during this visit. 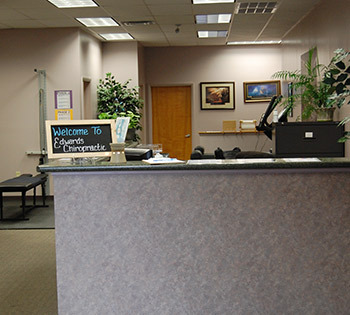 Dr. Edwards will bring in pictures and X-rays taken on your last visit and go over them in detail. We want to educate you about your body and spine and show you what’s in good shape and what could use some assistance. You’ll receive a treatment plan customized to your needs. Relief care. The pain you’re living with is relieved. Corrective care. The root of your initial problem is addressed. Strengthening. We give you therapeutic exercises tailored to your problems. Wellness care. You get regular checks to prevent future problems. After our discussion, we’ll get you the necessary therapy and then give you an adjustment. This visit takes about 45 minutes. Your following visits will consist of therapy and an adjustment, which takes about 25 minutes. Once we start therapeutic exercises during the strengthening phase of care, you may be here up to 60 minutes, depending on what type of exercises you need. How Often Should You Return? You’ve probably heard the saying, “An ounce of prevention is worth a pound of cure.” Once you’ve gotten through the strengthening phase of care and felt better, maintaining your health must become a priority. We’ve found that our patients who choose not to continue with wellness care usually return to us some months later with their original problem bothering them again. To prevent pain from affecting your life, we’ll recommend that you see us for occasional checks to make sure you don’t have a recurrence of your problem. The decision is yours, though, and we’re just here to provide you with information. Dr. Edwards grew up in a family of dentists who preached the values of regular dental checks to prevent dental problems from forming. It’s the same principle with chiropractic, and it’s even more important because you only get one spine. Your spine feeds your body. Your pain is usually relieved shortly after starting care, but that’s just the beginning of what we can offer you. Instead of patching the pothole, think about paving the road! Subscribe to our practice newsletter and check out our blog to stay informed on how to improve your health. Contact us to get started with care today!